Rosalind grew up in the Musqueam community and resides here today. Rosalind’s parents are Theresa Campbell (nee Point) and Ben Campbell. Rosalind is a lawyer whose Indigenous Law practice includes the areas of corporate commercial and indigenous governance. She graduated from the University of British Columbia with a Bachelor of Arts degree in 2006 and a Bachelor of Laws degree in 2009. Rosalind was called to the bar (Law Society of B.C.) in 2010. Her experience prior to law practice includes many years as a legal assistant and then as a tax administrator for the Musqueam Indian Band. 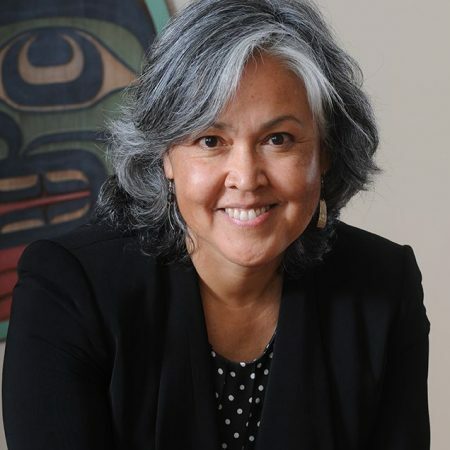 From 2013 – 2015, Rosalind volunteered as Chair of the Musqueam Land Code Committee consulting community members on the development of an interim spousal property law. On November 30, 2016 the Musqueam community members elected Rosalind to Musqueam Council for the first time. Rosalind currently sits on both the Intergovernmental Affairs and Finance & Administration Committees. Rosalind is a strong supporter of the revitalization of hən̓q̓əmin̓əm̓ (the ancestral language of the Musqueam people and is the middle dialect of the Halq̓emeylem, hən̓q̓əmin̓əm̓ Hul̕q̓umin̓um̓ dialect continuum) and has completed several years of hən̓q̓əmin̓əm̓ courses offered by UBC to begin to learn her ancestral language. She took this institutional route as most fluent speakers of hən̓q̓əmin̓əm̓ had passed by the late 1990s when Rosalind began the hən̓q̓əmin̓əm̓ courses. Rosalind volunteers as a director on the boards of several non-profit organizations that support Canada’s indigenous peoples in the areas education and social services for indigenous women and children.